The decision to become a dog owner is more than just the willingness to open up your home to a pet. Understanding the financial responsibility of owning an animal is a crucial part in making sure you will be prepared for taking on the role of a pet parent! 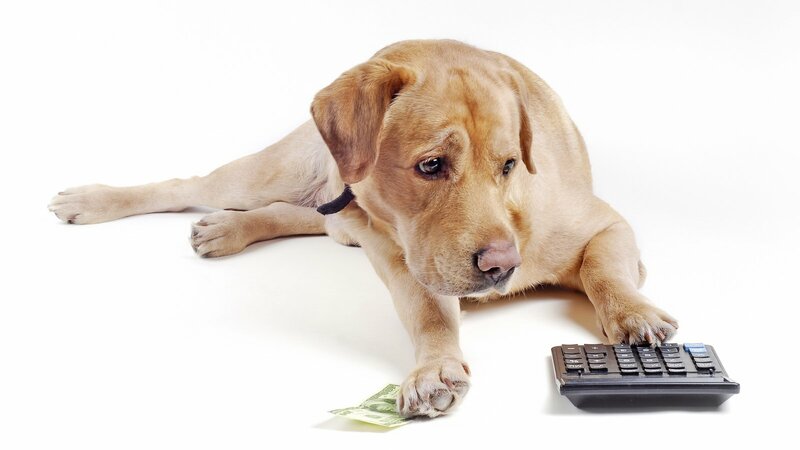 While things like a collar, leash, food, treats, and adoption fees are pretty much assumed; there are a number of other expenses you should expect. Veterinary services should be factored in to the cost of owning a dog. Vet visits can range from yearly appointments for vaccinations and refills on medication for the prevention of fleas, ticks, and heart worm to unexpected visits for illnesses or injuries. Other foreseeable expenses include lifestyle elements such as grooming expenses, dog walking, and pet sitting while on vacation. For puppies you may also want to consider training and socialization classes. Finally, pet insurance is something all dog owners should consider and decide if it’s right for them. For those in Chicago, there are certain aspects of living in the city that should also be considered when owning a dog. 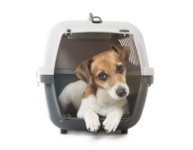 Ensure you’re well prepared for future costs, and know everything that can be involved in owning a pet. Does Chicago weather add additional costs? 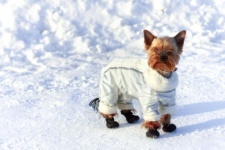 The weather in Chicago can go from one extreme to the next, which can wreak havoc on your pet. 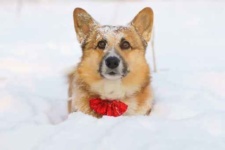 Coming in and out in frigid temperatures in winter can cause dry and itchy scalp for dogs, and asphalt can cause burns and cracks on delicate paws during the summer. 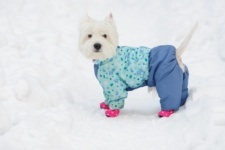 Dog owners in Chicago should expect to incur costs to maintain the wellbeing of their pet, whether it’s moisturizing shampoo to battle the weather effects or paw protectant ointment to ensure each walk is pleasant for both you and your dog. It is also important to note that dogs tend to eat more during the colder months in Chicago, since it takes more energy for the dog to keep warm during the winter. This is something that should be factored in when considering a food budget. Do I have to pay to register my dog with the city? All dogs must be registered with the City of Chicago if they are over 4 months of age. Sterilized dog licenses are $5, and unsterilized dog licenses are $50. Seniors get a discounted price of $2.50 for sterilized dogs, and $5 for unsterilized dogs. Do I have to pay to enter a dog-friendly area in Chicago? Chicago Park District’s dog-friendly areas are only available to dogs that have the appropriate permit and tag issued through numerous veterinarian locations in the city. These tags are $5 per animal, and must be renewed each year. There aren’t any daily passes for those without a dog-friendly permit and tag, and violators can be subject to a citation and fine. Do I have to pay for my own cleanup bags? There are several dog parks in Chicago that provide cleanup bags for its visitors, but many of them are taken care of through community members rather than the Chicago Park District. Frequent visitors are encouraged to donate cleanup bags to the dispensary whenever possible to maintain the cleanliness of the park. While there are dog-friendly areas that provide these free cleanup bags for pet owners, generally, pet owners should always have their own cleanup bags. Violators can be subject to a $400 fine for not picking up after their dogs. Having a budget before you decide on which dog is best for your life is important to ensure your pup is taken care of. Choosing a smaller dog, or one that doesn’t require monthly grooming can go a long way to finding the pup that best fits your lifestyle. This may seem like a lot, but ask any dog owner and they will tell you, their furry family members are worth every penny!